Have you ever wondered how much a cruise really costs? I’m going to give you a hint. It is much more than the list price you see when you’re looking into booking your first cruise. are a great value, but you need to be prepared for all of the costs. Here is a breakdown of all of the costs we paid on our first ever cruise. The most obvious cost of the cruise is the cruise ticket itself, but you can save a significant amount of money by using a service like Cruise Direct. Since I went on this cruise with my girlfriend (now wife) we bought two tickets. Each room requires you to pay for the price of two tickets, at a minimum, so if you’re planning on having a room to yourself expect to pay 150-200% of the listed price per ticket. We went for the cheapest class of stateroom which is the interior class. We didn’t plan on spending a ton of time in our room so we didn’t feel like we needed to pay money for extra space or a window. Due to the fact that we booked early there were a few rooms available that were in the interior class but actually had two porthole windows. We definitely took advantage and booked these rooms at no extra cost above the price of a normal interior ticket. Originally, we paid $279 for each ticket or $558 total. We managed to get $80 refunded to my credit card and $80 in on board credits due to the Early Saver program, which saved us $160 dollars. This resulted in a total cost of $478 charged to my credit card for the cruise tickets themselves. After accounting for the $80 in on board credit the ticket price of our cruise was $398. You don’t get away that fast though! You’re also responsible for taxes and port fees which must be paid prior to the pay off date. I’m not sure what taxes are included as this cost wasn’t itemized. I do know that each port you stop in charges a port fee which the cruise line passes on to their guests. Taxes and port fees totaled $84.60 each or $169.20 total for the two tickets. We saved some money in this area by traveling with my parents who were going on the cruise as well. We split the cost of gas, tolls and the hotel for the night before the cruise. I ended up paying $60.00 in gas, $6.60 in road tolls and $62.44 for the hotel after splitting these costs with my parents. While traveling we stopped for breakfast, lunch and dinner on the way to our hotel. We had some bad service at dinner so the general manager gave us our meal free. The server did a good job, so we still left a tip. We only stopped for lunch on the way home from the cruise. I spent $46.38 on food on the way to and from the cruise for both my girlfriend (now wife) and I. We spent a total of $175.42 on traveling to and from the cruise. We arrived at the port and dropped our luggage off with the porter. It is customary to tip the porter $1 per bag so we paid him $2 for our two bags. In addition to porter tips, my parents had to park their car. Parking at the port cost $15 a day and totaled $90 for the six days we parked the car at the port. We could have parked off site and taken a shuttle but my parents have had a bad experience with that in the past. I paid half for the parking making our port arrival costs $47. Even though you’ve paid the port docking fees there isn’t any entertainment included in what you’ve paid. We went on a history tour and snorkeling trip that included lunch at our first port in the Bahamas. The excursion cost us $99 each or $198 total for the two of us. We did pay a premium as we organized the trip through Carnival Cruise Line. The excursion came with guarantees that the ship wouldn’t leave without us if something happened on our excursion along with other nuances. We didn’t want to run into any problems as first time cruisers. In our second and third ports, we just walked around the city. We stopped in all of the various touristy shops near the port. We only bought a straw fan for $6 and a souvenir t-shirt for $17. The T-shirt was a purchase we had planned prior to leaving for our on the cruise. In total we spent $221 on in port activities. Think we’re close to being done on cruise spending? Nope, not yet! My parents helped subsidize our costs in this spending category. They had bought us a first cruise gift package. The package included 4 drink tickets worth $5.75 each and a photo voucher worth $15, along with other gifts. In addition to the $23 in drink vouchers we spent an additional $12.08 on drinks. We considered ourselves lucky compare to many of people on the ship who constantly drank. Drinks cost about $7 to $11 per drink. Additionally, there is a mandatory 15% gratuity charged on top of to the advertised drink prices. On the first day of the cruise my girlfriend (now wife) won an $89 off certificate to the spa on the cruise ship. She had always wanted a massage so she splurged for a hot stone massage that ended up costing $65 after the discount, which is probably similar to what we’d pay locally for a massage so it wasn’t a horrible deal. We ordered room service for breakfast a few times. It is customary to tip the room service waiters, too. We ended up spending $8 on room service tips. There was a casino on board the cruise ship! I had always wanted to try playing blackjack but it was $6 a hand. I did decide to play three separate times. The first time I won $6 and the second time I won $16. Sadly, I lost the $30 I brought the third time I played. Overall I lost $8 playing blackjack for a couple hours but I had a lot of fun. That isn’t too bad for entertainment dollars per hour. It could have been a lot worse though. In total we spent $93.08 on board the ship for drinks, food and entertainment. Every evening there are professional photographers begging you to let them take your picture. We had the photographers take a few pictures taken both on the casual and formal nights. The pictures cost us $16.99 after accounting for the $15 voucher from my parents. Getting our pictures taken on the cruise ship was cheaper than getting a professional photo session back at home. We bought some duty and tax free alcohol at a large discount compared to the prices back home. It set us back $49.98 but saved us money as we would have eventually purchased it at home for a much higher cost. We also purchased a t-shirt for a gift that was only $4.88. We discovered we weren’t drinking enough water so we bought a reusable water bottle for $6.50 to make sure we had water available to stay hydrated. In total, we spent $78.35 on miscellaneous on board purchases. We did end up with a $13.96 on board credit for some reason so this brought our total down to $64.39 in this category. Carnival adds gratuities on your statement on the last night of the cruise. They charge $11.50 per person per day which totaled $115.00 for us. We did pay this in advance of our cruise. That way we didn’t have to worry about it while we were cruising. Carnival has since raised their gratuity prices to $13.99 to $15.99 per person per day. You don’t have to pay the gratuities if you don’t want to, but the crew do rely on them as a large part of their compensation. If you had any problems with your service or don’t feel you should have to pay that much you can go to guest services and reduce the gratuity amount on the last day of your cruise. We had outstanding service so we didn’t adjust our gratuity payments at all. That’s it! Not a short list at all. So, how much does a cruise cost? We ended up spending $1,283.09 which really isn’t that bad for a 5 day cruise. In fact, it is only $256.62 per day or $128.31 per person per day. Related: Want to Cruise for Free? 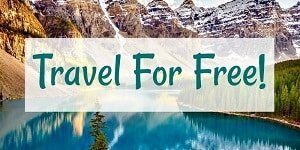 Here’s How to Use Credit Cards for Free Cruises! When you consider the fact that you get lodging, all the food you care to eat at three decent meals a day, entertainment and the chance to visit foreign countries the price really isn’t that bad at all. We could have easily spent double that and I’m going to venture some people spent double that on just their cruise cabin. 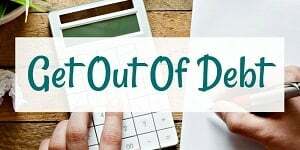 Hopefully, I’ve enlightened you to some of the other expenses on cruises so you can budget for them better for your first cruise. You no longer have to wonder how much for a cruise like our five day Carnival cruise. If you have any questions or comments about the cost or have a cruise experience you’d like to share please leave a comment below! How much are cruises that you go on? It is definitely a shock if you aren’t expecting it. I still think it is a great value compared to other vacation options. Thank you for this very informative article. Saw a great last minute cruise deal but wondered re final cost to see if we could afford.. why do you have to tip room service if tips are included? It’s just customary to do so. The room service people may not get part of the automatic gratuities. You don’t HAVE to tip anyone, but tipping them a dollar or a dollar an item seems to be the custom. Hey Lance! This was a great breakdown that will help people new to crusing understand all the costs associated with it. Like you said it is still a great deal. And if you plan ahead you can find some amazing deals. My wife and I just came back from a 7 day cruise from princess. He had a midship balcony room, $225 in credit and they also threw in a meal at one of their paid restaurants. Overall, we spent only $1950 out of pocket which included a $100/person excursion. That is one heck of a good deal. Anyone willing to book a cruise 6-9 months ahead can find deals like this left and right! Congrats on the awesome deal Alex! Glad you enjoyed your cruise! 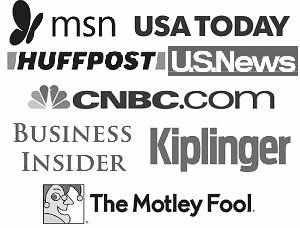 Hi Lance – Loved the article – I say knowledge is power, and, boy, that article is powerful! Not that a cruise isn’t a great idea – it is, and not that a vacation isn’t warranted and deserved – but how many of us really know what that vacation cost…after all was said and done? We go to Vancouver, BC each summer at the kind invitation of my husband’s lovely parents, and spend a glorious week with them in their water front condo – relaxing and enjoying everything Vancouver has to offer. We think of this week as a ‘free’ vacation, when it is anything but – airfare from San Diego to Vancouver for 4 or 5 (depending on who goes) as well as ground transportation (train or rental car) water taxis, dining out, plus, plus, plus plus….it really adds up – not that it’s not wonderful and not that we don’t enjoy it, but now that we are keeping track, and planning a bit more wisely, we are able to save and still greatly enjoy our time together with family. Thanks for reminding me of how important it is to know what we spend, so we can be in control! Kim, you had some great takeaways from this article. Your vacations in Vancouver sound amazing and I’m a bit jealous to be honest! Now that you keep track of spending a bit more, hopefully you’re having the same or more fun and saving more money so you can go more often or add other vacations to the schedule! I’d like to cruise, but I think I want to try Celebrity, which does offer all-inclusive drink packages to purchase. Plus, Carnival doesn’t have the best reputation for ship-wide illness on cruises so I’d get worried we’d get the unlucky norovirus ship! I would rather pay a little more for a cruise upfront instead of being hit with additional fees throughout the duration. I think we might look into using cash-back rewards for a cruise when the time comes. Like you said about a cruise – it’s a great way to see other countries that may not be worth a whole vacation to. I think Carnival has a great reputation for ship-wide illness. Look up some facts and let me know if you find otherwise. You can pay for an all inclusive drink package on Carnival, too, if you’d like. Hi Amanda! A lot of your questions depend on the cruise line you are travelling on. I only have experience on Carnival, but even then, upgrading to a better room will cost different amounts depending on how sold out the cruise is. I would call about that now to find out how much it is. Swimming with the dolphins normally runs $100 to $200 per person for the experience. I think pictures normally cost extra and are normally pretty pricey. Unlimited drinks cost will vary from cruise to cruise line if they even offer it. Drinks were roughly $10 each (mixed drinks) on Carnival last time I went. Upgraded food also varies per line and per ship. Expect to pay anywhere from $15 to $50 or more per person per night for upgraded dining. I would definitely check out cruise websites for your cruise line to see if you can estimate some of the costs. Hope this helps! Cruises are wonderful, particularly if you intend to visit several places and would rather just unpack once and take your hotel with you. However, there is a charge for everything that isn’t nailed down; (i.e., alcoholic beverages, hot chocolcate (!) photos (ridiculously overpriced) water (bottled) anything in your minibar if you have one) canapes, hors d’oeuvres, laundry (though you can also do your own, if you like to spend your vacation time that way) — just watch out. There are advantages to early booking, but not enough imho to warrant the discrepancy in room pricing if you book later (when they go on sale!). Some locations are better than others (avoid top deck rooms if you can, they get much more ocean motion). My favorite location is midship where there are usually a variety of rooms available on many decks. This puts you near elevators, which is convenient. Dining is included, so long as you eat at the “traditional” dining rooms (those provided by the line). Most cruise ships have additional restaurants (under separate management) that have meager per person “cover” charges. I can’t even guess what these charges pay for, really, other than just another way to add cost to the cruise. Don’t get me wrong, the additional restaurants are usually great — but cover charges are a bit cheesy imho. If you drink alcoholic beverages, be prepared to pay as much as $5 for a beer and $6 and more for a cocktail. Wine is ridiculously overpriced too, but you can find a bargain here and there. Also, if you are inclined to attend traditional dining with randomly assigned multiple dinner companions (or if you’re traveling in a group) then you can share the cost of your wine with your tablemates. This is an enjoyable way to cut costs. Onboard entertainment usually consists of singers, dancers and comedians. These groups usually provide reasonably entertaining performances, some better than others. Because of the dual-tiered dinner seating, two performances are given nightly. Ships have duty free shops that are open on sea days and they never fail to apprise passengers of ongoing sales and specials. These will be announced in whatever format your cruise line utilizes to convey daily activities (usually a printed newsletter, sometimes an illustrated brochure) and also by the Cruise Director at various times. Thankfully these periodic announcements are not piped into your stateroom, but you can hear them out in the hall. If you are inclined to shop wherever you are and whatever else you are doing, you will be glad of this feature. If, on the other hand, the last thing you want to do on your vacation is shop, then these announcements may annoy you. Stateroom televisions provide two types of programming: ship related and “commercial” broadcast. The former feature information about the place(s) your cruise is headed, replays of lectures, demonstrations, features, etc., given onboard and very heavy advertising for the cruiseline. The commercial broadcast portion are limited to current newscasts and replays of old TV shows. Often the ship is equipped with one or more movie screens where you can see current releases. Commercial advertising is replaced by shipline advertising. If this type of constant sales pitch annoys you, you might want to turn off the TV. In the old days, your room steward was your virtual slave during the cruise — responsible for really getting everything, from food, to making up your room. Also old fashioned room stewards were very knowledgeable about ship activities, etc. They were more like butlers than hotel maids. Also there were no “auto-gratuities” and each passenger was responsible for determining the amount of tip at the end of the cruise. Ships had specially printed “tip” envelopes for this reason. Nowadays, room stewards are essentially hotel maids. Yes, you can page them and ask for certain information and/or items. But they don’t bring meals (room service now does that) and they aren’t in my experience, trained to be more “butler-like” as they were before, but of course, due to departmentalizing, they have far fewer ultimate responsibilities. The auto-gratuities are ok, you can alter them (see the purser) you can also replace them or add to them with cash bonuses. Frankly I think if you don’t demand much of your room steward, (s)he receives adequate compensation for making beds, emptying wastebaskets and changing out the towels, bearing in mind EACH passenger is charged for “gratuitues” and hotel management (see your bill!). Formerly the meal servers at lunch and dinner (yes, in the old days you could also get lunch in the traditional dining rooms… sigh…) received far less in tips than the room steward. However, as noted above, you are less likely to interact with your room steward daily than you are your meal servers, so I find today, I tip the meal servers more. Thanks for the detailed thoughts! I think that will really help our people who have never cruised before. I really appreciate you taking the time to write that out! I’m actually doing research for our next vacation. We really want to go to Cancun, MX or on a cruise. Leaning towards Cancun, MX. Our vacations are pretty frugal. I always find ways to maximize our $. I don’t blame you at all. Maximizing value is a great idea. We went on a cruise a few years ago. If you really want to avoid spending a lot of money, you can, but it definitely takes a lot of self-discipline. Regarding excursions, you can sometimes look around online and find much cheaper stuff offered through companies not affiliated with the cruise line. Might take some thorough investigating but it might be worth it. Overall a very good explanation of cruise ship charges. The one common misconception is about the excursions. Carnival (indeed any cruise line) WILL ABSOLUTELY leave you at the port if you don’t get back in time, because the harbor master is the one in charge of the berths. The ship must leave if the harbor master says he must. That said, however, if you took a cruise-ship-sponsored excursion, they WILL make sure you get to the next port at their expense, or they will run you out to the ship on a small boat, so you were correct in your assumption that you would be protected. I always recommend that people buy their excursions from the cruise line until they are more comfortable cruisers. Typically when I cruise (about 3X per year) I only spend extra on the internet. I don’t consider tipping “extra,” though I realize you mentioned it as being extra because it IS outside the base ticket price, and I always give the porter $2.00 per bag instead of $1.00. Of course, I don’t bring many bags, either, so I want to make it worth his while. And in fact that’s the best cruise tip I can think of: LIMIT your packing! Makes getting around much easier. My wife and I got married in February but still haven’t got on our honeymoon so we’ve been looking around recently for trips next year. Being a Scrooge, I definitely planned ahead for some of these expenses but definitely missed some…thanks for List! I just find it so hard to lose money gambling. When I’m losing it is no fun. I really just need to set a limit and have fun and not care if I end up losing all of my gambling budget. Love the cost breakdown. You did a great job of keeping it your costs down. What ship did you sail on? The last cruise my husband and I went on we choose a balcony cabin and only used the balcony a little bit. I have been in interior cabins on other cruises, which are usually the least expensive, and we plan to do that next time. The actual space in the cabin is the same, and as you said, you don’t spend much time in there anyways. Good to hear that you enjoyed it all!! We went on the Carnival Ecstasy. After I got back I found out is the second oldest ship in the fleet. You can tell by some of the decor but they keep the ship very clean and have been updating different parts of it. I’ve never been on a cruise, but lots of great deals out of Los Angeles. I’ll have to be aware of all the hidden costs you mentioned, plus we’ll have to spring for childcare too if we want to go alone. They actually watch children in child age specific areas. It seems like a neat idea but you would still have to pay for their cruise fare. Great cost analysis! My wife and I would like to go on a cruise one day. Being in the Midwest, though, we’d also have the huge cost of airfare to the departing port. I’m lucky that we live within a day’s driving distance of 4 ports! They did. We even took a class to learn how to make some of the animals and my mom ended up getting us the towel animal instruction book. Should be fun when guests come over. There is no such thing as a free lunch! Cheap cruises lure you in with alow price, but they get you with all the extras. I have taken 5-6 cruises and hate all the extras, although the alternative is an all inclusive which is more expensive trip. You di dpretty well with your costs. Congratulations! I think you two did really good! We’ve never been on a cruise but would like to soon. They are definitely fun. You just have to be able to handle being disconnected for a week or pay crazy fees for slow internet. Great pointers on all the costs associated with a cruise. If you don’t watch it, the costs can really rack up. My wife and I have been on three cruises and love it. I think, if you watch your spending, it can be a good value when you look at all you get. I definitely think it is a good value for all you get. Interesting to see how a $200 cruise turned into a $600 cruise. You are right, for all the services you got, that is still a great deal. I am considering a cruise to just relax and do nothing for a few days, but I wish they would announce a higher all inclusive price instead of feeling like you are spending money all day long. If you don’t care about drinking anything other than juice, lemonade and water (which are free) and just like going to the free entertainment and laying out on the deck you could theoretically get by without spending any extra money. 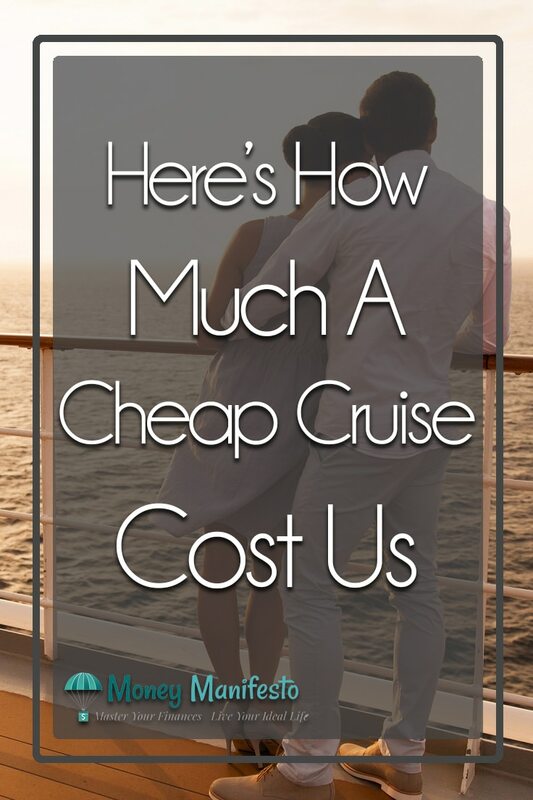 Great Overview on how much a cruise really costs! There are hidden fees everywhere you look and you could quickly increase your costs by double. That being said, it is still a great way to go on vacation on the cheap when you take into account lodging and food.